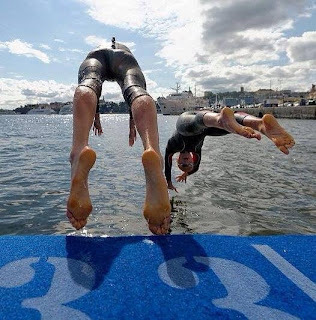 One of my favourite cities on the World Triathlon Series circuit, Stockholm is a beautiful and unique place to hold a race. Some of the busiest bike paths, everyone commutes on bikes and I feel like we are understood. The feeling of being underdressed, surrounded by plenty of men in business suits, lots of coffee shops and a buzzing atmosphere in the city. Having a day off on Thursday when we arrived, I took the opportunity to stretch the legs in the central of Stockholm, do a lot of window shopping and put the feet up at local coffee shops. We stayed in a perfect location this year with the swimming pool being 300m, running trails alongside the water and still close to race sight. I wanted to come back this year with more confidence in my ability to ride this type of course and see where I am at before London in a few weeks time. 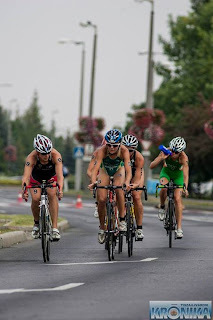 My third year back to Tiszaujvaros, my third year competing in the semi and final format, I was excited to get racing. Our trip started with a little overnight stay at the Adams family Budapest airport hotel. A very cute, yet creepy place, everything from the staff to the style of the room to the playing of the theme song as soon as we got into the bedroom, it was an interesting experience to say the least. Arriving in Tiszy, it once again turned on the heat when we arrived and it felt just like Vitoria has been over the last few weeks- nothing different to us. I was pretty lucky with our room having air conditioning, which was nice to get a good night sleep every night. I couldn’t figure out why everyone was complaining..Tiszy only being a small place has a great atmosphere and it was awesome to still see a triathlon to put them on the map. One year ago, 55 women and 55 men from 37 nations were lining up on the pontoon to start in the most important race of their life. Millions of eyes around the world and thousands of supporters lined the course to watch a race to gold. My eyes were glued to the TV here in Vitoria as I waited for who would be the new Olympic champion for triathlon in London. Who would have thought after 2 hours of racing three women would be sprinting down the blue carpet? I can remember every session from that day, probably because it was pitch black and 9.30 at night when my day concluded and I couldn’t be any more motivated with an Australian and a hometown girl, Erin Densham receiving a bronze medal.